West Bengal chief minister Mamata Banerjee expressed solidarity with army veterans conveying outrage over alleged use of armed forces for political purposes and asked the BJP leadership not to build their identity riding on the sacrifices and achievements of the soldiers. She said unlike Prime Minister Narendra Modi, she does not ask for votes in the name of the soldiers. Banerjee, an important leader of the anti-BJP bloc, claimed that it will be difficult for the BJP to cross 100 seats in the ongoing Lok Sabha election. Speaking at a gathering in Gandhidham city of Kutch district in Gujarat, he said, "Congress is saying that they will repeal the sedition law. I want to ask you all, should we forgive those anti-nationals who are trying to break the unity and social fabric of our country? "If it's within our powers, we will make the sedition law even more stringent. We will make such a strict law that it would send shivers down their spine." A Congress delegation, comprising Abhishek Manu Singhvi and Randeep Surjewala, made several representations such as over Union minister Smriti Irani's "contradictory affidavits" to the Election Commission on her educational qualifications and a web series on Modi. The party gave a memorandum to EC over Irani's contradictory affidavits, demanding that she should be disqualified from contesting. "Modi, BJP chief (Amit Shah) and other leaders of the ruling party are shamelessly and openly, for the first time in 70 years, are dragging the forces into cheap politics," Singhvi told reporters. Addressing a rally in Chhattisgarh's Rajnandgaon, BJP president Amit Shah said, "MLA Bhima Mandavi's (who lost his life in a Naxal attack on 9 April) death smells of a political conspiracy. I want to tell chief minister of Chhattisgarh, if you have nothing to hide, then order a CBI inquiry into Mandavi's death." In Theni, Rahul Gandhi said, "Narendra Modi is convinced he can run Tamil Nadu from Delhi. He is convinced that just because he can pressurise the Tamil Nadu government, he can decide what happens in Tamil Nadu. I don't think this man has read anything about Tamil history. He certainly doesn't understand the Tamil spirit. I think I will send him a book on Periyar. "Throughout history, only the people of Tamil have decided the future. There is no force in this universe that can make the Tamil people do what they don't want to do. With hatred and anger, you can't make Tamil people do anything, but with love and affection, you can. We're not going to stand here and let him disrespect the Tamil people, their language or their spirit. We're not going to let him impose his half-baked ideas on Tamils. " "Narendra Modi started a negative economic cycle. He pulled the petrol out of the engine and switched off the engine. And he gave the keys of the vehicle to the 15 rich businessmen of the country," Rahul Gandhi said in Theni, while praising his party's NYAY scheme. "Modi will be upset because he will not be able to give thousands of crores of rupees to Anil Ambani. He'll be upset because Indians won't fight with each other. Narendra Modi is the element of hate among Indians. The moment Indians get along, Modi will get down. We are not going to fight Modi's hatred with hatred. We're going to fight it with love and affection toward each other by respecting each other." Addressing a rally in Tamil Nadu's Theni, Congress president Rahul Gandhi said, "If we give Rs 15 lakh per person, we will destroy the economy, but we can give Rs 3.6 lakh per year, we will not destroy the economy. In fact it will strengthen it." "Tomorrow (Saturday), I'm meeting the Election Commission. I'm going to discuss the anomalies and technical problems EVMs are facing. Nobody knows what is happening in EVMs," he told reporters. Faulty EVMs had reportedly hampered the polling in Andhra Pradesh on Thursday, leading to delays in the voting process at over 300 booths in the state. Congress president Rahul Gandhi's chopper has been denied permission to land in Siliguri in 14 April, when he is scheduled to address a rally there. In January, the Jhargram district magistrate had denied the party permission to land BJP chief Amit Shah's helicopter near the venue, citing security concerns. 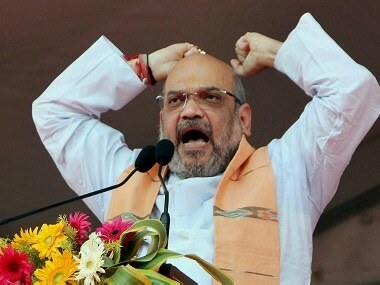 Later, Shah's scheduled rally was cancelled, but the party said it was due to his poor health. In a video doing rounds on social media, Union minister Maneka Gandhi, is allegedly seen telling Muslims in Sultanpur to vote for her. "I am going to win because of the love of the people. But if I win without the votes of the Muslims, then I won't be too happy. I will not be inclined to be responsive when you come to seek jobs," she is heard saying in the video. Congress spokesperson Sanjay Jha lashed out at Maneka over the video on Twitter and wrote, "WHOA!!! Just hear #ManekaGandhi talking to Muslims; it's a shocker!!!!" In Gangavathi, Prime Minister Narendra Modi said, "In the first phase of election, the wave of BJP and its allies will sweep the opposition. The situation in West Bengal is chaotic. It's a sign of an imminent change"
"This is an election between 'nation first' and 'family first'. Congress and JD(S) are detached from people and attached to their own family," Narendra Modi said in Karnataka's Gangavathi. "Fulfilling their individual and family's greed is their priority. And what is their mission? Commission," he said. Addressing a rally in Karnataka's Gangavathi, Prime Minister Narendra Modi targetted Chief Minister HD Kumaraswamy. " HD Deve Gowda ji ke bete ne kaha ki kendra mein agar phir sarkar ban gai toh vo rajneeti se sanyaas lelenge. 2014 ke chunav mein swayam Deve Gowda ji ne kaha tha agar Modi ji PM banenge toh main sanyaas le lunga. Unhone liya kya? Beta sanyas lega kya? (JD(S) leader HD Deve Gowda's son said that if NDA forms the government in the Centre again, then he'll retire from politics. In 2014 election, Deve Gowda had said that if Modi becomes the prime minister then he'll retire from politics. Did he retire? Will his son retire?)" Former Union minister Sukh Ram's son Anil Sharma tendered his resignation as Himachal Pradesh minister on Friday. In March, Sukh Ram rejoined the Congress along with his grandson Aashray Sharma ahead of the Lok Sabha polls. The development had led to speculation on the fate of Anil. State BJP president Satpal Singh Satti had then said, "It is up to Anil Sharma whether to remain a Himachal Pradesh minister or quit. He should make his stand clear." AAP leader Gopal Rai said during a press conference that the party has formed an alliance with the Jananayak Janata Party (JJP) in Haryana for Lok Sabha elections. JJP will contest on 7 seats and AAP will contest on 3 seats in the state. Nirmala Sitharaman on Friday said the purported letter sent by Army veterans to the president was "fake." "Two senior officers said they haven't given their consent. It is worrying that fake letters are being signed by vested groups. It is condemnable. Rashtrapati Bhawan has also said that they have not received the letter," she said. Former Union minister in the UPA regime and Dalit rights activist Krishna Tirath left BJP and rejoined Congress on Friday. Speaking in the aftermath of a Congress press conference in which the party's spokesperson Priyanka Chaturvedi spoke on Smriti Irani finally clearing up her lack of college education, the BJP leader said these 'attacks' only egg her on to work harder 'against the Congress'. Congress leader PC Chacko said on Friday that the door is open for Aam Aadmi Party to forge an alliance with the party in Delhi. "AAP wanted to have an alliance in other states also, which is not practical. Every state is different; we will announce the seats tomorrow or day after tomorrow. If they are ready for an alliance in Delhi with Congress, we are ready even today," Chacko said. AAP had earlier said that the party is not interested in tying up with Congress in Delhi alone. A delegation of the BJP, led by Union ministers Mukhtar Abbas Naqvi and Nirmala Sitharaman, met the Election Commission to raise complaints on several charges. Addressing a press conference after the meeting, Naqvi charged the language used by Congress chief Rahul Gandhi in the aftermath of the Supreme Court's Rafale documents admissability order. Rahul had said, "Supreme Court has pronounced the verdict, chowkidar is a chor." Taking over from him, Sitharaman said, "Rahul had erroneously said even on Thursday that Supreme Court has admitted to the fact that Narendra Modi siphoned off Rs 30,000 crore to his friend Anil Ambani. Where did that happen? Did Supreme Court ever say this?" Another complaint was regarding the polls in Bengal. "Trinamool Congress goons prevented people from voting in West Bengal on Thursday. We demanded that repolling be done and that two CAPF soldiers be stationed at every booth in West Bengal," Naqvi said. A delegation of the BJP, led by Union ministers Mukhtar Abbas Naqvi and Nirmala Sitharaman, met the Election Commission to raise complaints on several charges. Addressing a press conference after the meeting, Naqvi slammed the language used by Congress chief Rahul Gandhi in the aftermath of the Supreme Court's Rafale documents admissability order. "Congress has crossed all limits," he said. Rahul had said, "Supreme Court has pronounced the verdict, chowkidar is a chor." Rahul Gandhi on Friday slammed Prime Minister Narendra Modi​ alleging he ran his government for 15 of his friends and he wondered why no big-ticket defaulters of bank loans like Vijay Mallya were not in jail. The Congress chief said the ones like Nirav Modi and Vijay Mallya, after taking bank loans, failed to return it and ran away from the country. "Not even a single one is in jail," he added. Rahul said when his party is voted to power, no farmer "is going to be put in jail for not paying back his bank loan, it is not fair that the richest people do not go to jail but farmers go to jail for the same offence." Speaking at Naveen Patnaik's turf of Odisha on Friday, BJP chief Amit Shah made a host of promises to the Keonjhar audience, reciting not just schemes for tribals but also for farmers. "All forest produce will be procured at MSP by the government from the tribals. GST will not be levied on tendu leaves," he said, to applause. Shah also promised effective utilisation of Odisha's rich natural resources and said a medical college has been built from money sent to the state by the Centre. "Under District Mineral Fund, an additional Rs 1,600 crore has been allocated to this district," he said. Speaking at Odisha's Keonjhar, BJP chief Amit Shah said on Friday that governments of Congress and Biju Janata Dal have wrecked Odisha. "Due to the complete lack of employment opportunities in Odisha, its youth has to migrate to other states to earn their livelihood," he said, also highlighting alleged water scarcity issues and the problem of paucity of teachers in schools. Significantly, Shah brought back the BJP's favourite language slam against Naveen Patnaik, who cannot speak in Odia. "Naveen babu has ruled Odisha for 19 years, but still can't talk in Odia to his people," he said. Rabri Devi, on Friday, told News18 in an interview that JD(U) leader Prashant Kishor had visited Lalu Prasad's hope as many as five times, to broker a deal through which Nitish Kumar and his party could make their way back to the mahagathbandhan in Bihar. "Kishore asked for him (Nitish Kumar) to be declared the prime ministerial candidate, even after JD(U) had joined hands with the BJP. We had to throw him out of the house. He is a liar," she said. "Not just I, but my entire staff saw this," she added. 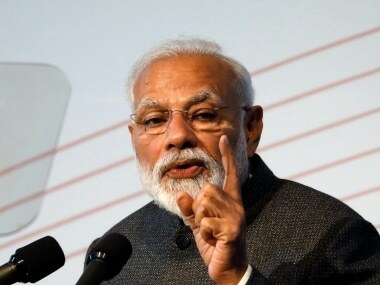 Speaking at Ahmednagar, Prime Minister Narendra Modi on Friday targeted Congress president Rahul Gandhi, asking voters to choose between "imandar chowkidar" and "bhrashtachari naamdar". Addressing an election rally to campaign for Ahmednagar and Shirdi Lok Sabha candidates, Modi also said the world has recognised India as a super power in the last five years. "Do you remember the previous ten years of the earlier remote-controlled government? Scams and delays in decision-making were the order of the day. You need to now choose between imandar chowkidar and bhrashtachari naamdar," Modi said. Air Chief Marshal NC Suri, another signatory of the alleged letter has said that he was misquoted in the letter, which he alleges was written by "some Major Chaudhary." Congress president Rahul Gandhi said during his rally at Tamil Nadu's Krishnagiri, "We will never ever let the people of Tamil Nadu be ruled by Nagpur. Tamil Nadu is going to be ruled from Tamil Nadu and MK Stalin is going to be the chief minister of Tamil Nadu." ANI has reported that two of the signatories of the circulated letter sent to the President by Army veterans have denied having signed this letter. The news agency reported that General SF Rodrigues, the first signatory of the letter, has said, "Don’t know what it (the purported letter written by Armed Forces veterans to the President) is all about. All my life,we've been apolitical. After 42 years as officer, it's a little late to change. We always put India first. I don’t know who these people are, it is a classic manifestation of fake news," he said. Reports have said that Rashtrapati Bhavan sources have denied receiving any letter supposedly written by Armed Forces veterans to the President. Speaking at Ahmednagar, Narendra Modi steered clear of asking voters to cast their ballots in the name of the Army or the martyrs, after running into quite some controversy after repeatedly mentioning them in earlier speeches. He, however, repeated his earlier promises of a water ministry and rang up the old slam of a scam operating out of the Gandhi family's 'Tughlaq Road' residence. "Congress has stolen money meant for pregnant women just days after coming to power in Madhya Pradesh," he said. "In the last five years, a strong, decision-making government, a public partner, has been seen in India. Prior to that, there were reports of scams and scandals. Today the world is seeing India as a superpower," Narendra Modi said in his rally in Ahmednagar in Maharashtra. The prime minister hit out at the Congress-NCP alliance as well. "Today, on the one hand, the Congress and NCP has given you hollow promises and on the other hand the NDA has made good on its promises. During the Congress-NCP government, bomb blasts took place across Mumbai. In the last five years, blasts have stopped in Maharashtra," he said. Two seats in West Bengal, Cooch Behar and Alipurduar, went to poll in the first phase. The state will have polling in all seven phases. Bihar recorded voter turnout of 50 percent, the lowest among the 18 states and two union territories which went to polls Thursday, the Election Commission said. The Congress spokesperson Priyanka Chaturvedi held a press conference in which she hit out at the BJP over the issue of politicisation of the armed forces and Smriti Irani's qualifications. Listing all the instances in which the BJP leaders have used the armed forces in their poll pitch, Chaturvedi said, "Political parties using armed forces is wrong." On Smriti Irani writing in her poll affidavit that she enrolled for an undergraduate course in Delhi University but did not complete it, Chaturvedi said, "A new serial is going to come, Kyunki Mantri Bhi Kabhi Graduate Thi. Its opening line will be 'Qualifications ke bhi roop badalte hain, naye-naye sanche mein dhalte hain, ek degree aati hai, ek degree jaati hai, bante affidavit naye hain." Lekhi told the SC bench that the Congress president, in his remark over the top court's verdict in the Rafale case, had said, "Supreme Court has said, chowkidaar chor hai (in its verdict)". SC has agreed to hear the contempt plea on April 15. Bharatiya Janata Party chief Amit Shah will address a rally at Keonjhar in Odisha and at Rajnandgaon in Chhattisgarh. Prime Minister Narendra Modi is scheduled to address rallies at Ahmednagar in Maharashtra (11 am), Gangavati in Karnataka (3 pm) and Kozhikode in Kerala (6.30 pm). The Supreme Court pronounced a key verdict on electoral bonds in which it asked political parties to reveal by 30 May, how much money they have respectively received through such bonds. The apex court also held that the issue of electoral bonds needed lengthy hearing. 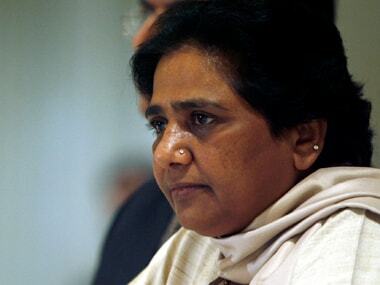 The Centre had appealed to let the system of electoral bonds continue till the end of the Lok Sabha elections. Now that the Court has set a deadline that comes well after the 27 May announcement of results of the polls, the system effectively will continue through the election process. As controversy rages over whether 150 Army veterans indeed did send the purported letter against politicisation of soldiers, read the full text of the purported letter being circulated across media here. Congress president Rahul Gandhi, like Modi, will be in the south. He is expected to hold a public rally at 11 am in Tamil Nadu's Krishnagiri district. Rahul is then expected to address meetings at Salem district (around 1 pm), Theni district (3.45 pm), and Madurai district (5.30 pm). #ElectoralBonds: #SupremeCourt, in its interim order, orders all political parties to submit in sealed cover envelopes thr details of all #ElectoralBonds received till May 15 to the Election Commission. Matter will be argued in detail later. Lok Sabha Election 2019 LATEST updates: Addressing a rally in Chhattisgarh's Rajnandgaon, BJP president Amit Shah said, "MLA Bhima Mandavi's (who lost his life in a Naxal attack on 9 April) death smells of a political conspiracy. I want to tell chief minister of Chhattisgarh, if you have nothing to hide, then order a CBI inquiry into Mandavi's death." A day after Andhra Pradesh went to polls, Chief Minister Chandrababu Naidu said, "Tomorrow (Saturday), I'm meeting the Election Commission. I'm going to discuss the anomalies and technical problems EVMs are facing. Nobody knows what is happening in EVMs," he told reporters. In a video doing rounds on social media, Union minister Maneka Gandhi, is allegedly seen telling Muslims in Sultanpur to vote for her. "I am going to win because of the love of the people. But if I win without the votes of the Muslims, then I won't be too happy. I will not be inclined to be responsive when you come to seek jobs," she is heard saying in the video. Congress spokesperson Sanjay Jha lashed out at Maneka over the video and tweeted, "WHOA!!! Just hear #ManekaGandhi talking to Muslims; it's a shocker!!!!" 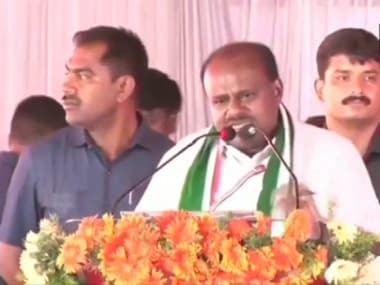 Addressing a rally in Karnataka's Gangavathi, Prime Minister Narendra Modi targetted Chief Minister HD Kumaraswamy. "JD(S) leader HD Deve Gowda's son said that if NDA forms the government in the Centre again, then he'll retire from politics. In 2014 election, Deve Gowda had said that if Modi becomes the prime minister then he'll retire from politics. Did he retire? Will his son retire?)" Former Union minister Sukh Ram's son Anil Sharma tendered his resignation as Himachal Pradesh minister on Friday. In March, Sukh Ram rejoined the Congress along with his grandson Aashray Sharma ahead of the Lok Sabha polls. The development had led to speculation on the fate of Anil. State BJP president Satpal Singh Satti had then said, "It is up to Anil Sharma whether to remain a Himachal Pradesh minister or quit. He should make his stand clear." Congress leader PC Chacko said on Friday that the door is open for Aam Aadmi Party to forge an alliance with the party in Delhi. "AAP wanted to have an alliance in other states also, which is not practical. Every state is different; we will announce the seats tomorrow or day after tomorrow. If they are ready for an alliance in Delhi with Congress, we are ready even today," Chacko said. Rabri Devi, on Friday, told News18 in an interview that JD(U) leader Prashant Kishore had visited Lalu Prasad's hope as many as five times, to broker a deal through which Nitish Kumar and his party could make their way back to the mahagathbandhan in Bihar. "Kishore asked for him (Nitish Kumar) to be declared the prime ministerial candidate, even after JD(U) had joined hands with the BJP. Not just I, but my entire staff saw this," she said. Speaking at Odisha's Keonjhar, BJP chief Amit Shah significantly brought back the BJP's favourite language slam against Naveen Patnaik, who cannot speak in Odia. "Naveen babu has ruled Odisha for 19 years, but still can't talk in Odia to his people," he said. Prime Minister Narendra Modi, in his rally at Ahmednagar in Maharashtra, hit out at the Congress-NCP alliance. "Today, on the one hand, the Congress and NCP has given you hollow promises and on the other hand the NDA has made good on its promises. During the Congress-NCP government, bomb blasts took place across Mumbai, in Pune, on a train. In the last five years, since the BJP came to power, blasts have stopped in Maharashtra," he said. BJP MP Meenaakshi Lekhi has filed a contempt plea against Rahul Gandhi for his remarks on the recent Supreme Court verdict in the Rafale case. Lekhi told the SC bench that the Congress president, in his remark over the top court's verdict in the Rafale case, had said, "Supreme Court has said, chowkidaar chor hai (in its verdict)". A day after Phase 1 of the Lok Sabha elections, the Supreme Court pronounced a key verdict on electoral bonds in which it asked political parties to reveal by 30 May, how much money they have respectively received through such bonds. The apex court also held that the issue of electoral bonds needed lengthy hearing. The central government and the Election Commission have taken contrary stands in the Supreme Court over political funding, with the government wanting to maintain the anonymity of the donors of electoral bonds and the poll panel batting for revealing the names of donors for transparency. Meanwhile, with six phases of the elections still to go, leaders of parties, both big and small, are eager to make the most on the campaign trail. Prime Minister Narendra Modi is scheduled to address rallies at Ahmednagar in Maharashtra (11 am), Gangavati in Karnataka (3 pm) and Kozhikode in Kerala (6.30 pm). Bharatiya Janata Party chief Amit Shah will address a rally at Keonjhar in Odisha. Congress president Rahul Gandhi too will be in the south. He is expected to hold a public rally at 11 am in Tamil Nadu's Krishnagiri district. Rahul is then expected to address meetings at Salem district (around 1 pm), Theni district (3.45 pm), and Madurai district (5.30 pm). Sources, News18 had reported, had said that concerns have been raised to the Kerala Pradesh Congress Committee and the party's central election committee about the lack of booth level co-ordination in Thiruvananthapuram constituency. Thiruvananthapuram is where Shashi Tharoor is contesting against BJP's Kummanam Rajashekaran and C Divakaran of the Left. 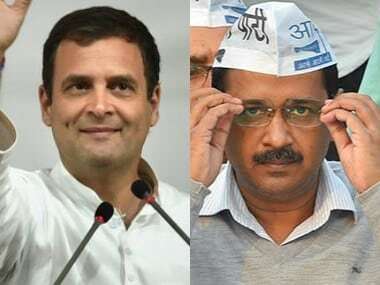 Congress is also expected to come up with a statement on its alliance with Aam Aadmi Party in Delhi.